In this post, we will take a look at which state and federal rules and regulations are imperative in these cases, how to identify the responsible party, what the consequences are when the accident occurs on public property, and how to prove negligence of the responsible party. When someone slips, trips, or falls due to the presence of a hazardous or dangerous condition on someone else's property, it can lead to a slip and fall accident. These hazardous conditions could include anything from inadequate lighting, to hidden and dangerous wires, uncovered holes in the ground, the unexpected presence of water, ice, oil spills, or any other dangerous substance that could cause someone to slip and fall. For people aged 85 or higher, falls are the leading cause of injury-related death; for those between 65-84 years of age, falls are the second leading cause of injury-related death. In a slip and fall case, you are entitled to receive due compensation for the medical costs of your injuries, loss of work and income, and the mental pain and anguish that you undergo. Let us look at the legal considerations that you will need to take into account, and how to go about understanding them. There are multiple monetary compensations that you may be entitled to. However, if you believe that the responsible party will grow a conscience, willingly accept fault, and compensate you or your loved one for the injury, then you are being too optimistic. Hire an experienced and competent New Orleans personal injury attorney to guide you through the legal proceedings, and help you obtain your rightful compensation. After a slip and fall accident, you need to be cautious about who you are speaking to and what you are saying. If you are interacting with the property owner whose property you have hurt yourself on, choose your words carefully. This rule applies to all individuals in the defendant's party, including the insurance adjuster and the defendant's attorney. Anything that you say can be misconstrued, or used to downplay the severity of your condition. Phrases like, "I am much better now," or " I did not notice that" can change the context of the occurrence, and possibly the court's interpretation of events. It is always best to stick to the facts, and reveal something only after prior discussion with your attorney. You can always refuse to speak until you have spoken to your attorney. Work closely with your attorney to gather evidence about the incident. It is best to take photos of the scene – the sooner you can the better – before the property owner gets an opportunity to repair the surroundings, or try to create "proof" that the accident was your fault. Witness accounts can strengthen your case too, so search for witnesses of the accident. Get the contact numbers of witnesses who can attest to the conditions, prior to your slip and fall accident. Note that property owners have a moral and legal duty to keep their premises safe. When they fail to do so, the owner of the property automatically becomes responsible. The maxim behind this conclusion is simple: The property owner knew about the danger present or should have known about it, and could have prevented the injuries that you had to sustain. While immediate fault for your accident can be attributed to an individual manager who controlled the elements and whose negligence was responsible for the hazard, there may be additional parties who will be named in the legal documents, as well. These will typically include the landlord or owner of the property, or the business owner. In most cases, one or more of these parties will have liability insurance covering the property. It is recommended that the responsible party is identified at the beginning of the case. Sometimes, however, it takes time to ascertain responsibility to a particular party. In cases when there is uncertainty regarding the defendants, most jurisdictions allow the lawsuit to name a 'John Doe' defendant. After the defendant has been identified, the court documents can be amended to correct and include the name of the actual responsible party. This is an important element in such cases. The term 'slip' does not literally only mean "to slip," but rather includes all types of injuries, such as a stumble, twist, or any other type of injury. The causes for the injury could be anything from spilled liquids, greasy floors, sharp objects, cracked and unstable steps, broken tiles, potholes, ice and snow, dangerous edges, inadequate lighting, or missing handrails, to name a few. This will be the most tedious and time-consuming part of the lawsuit. You must sit down with your attorney and, while taking all aspects into consideration, identify which expenses you are facing, and take into account future expenses as well. Make a thorough review of all of your medical costs, lost wages or work opportunities, and additional expenses required to live with your injuries. Make sure that you do not undervalue a claim. There is a time-frame in which the slip and fall lawsuit must be filed. This statute of limitations varies from state to state – usually, it is two years. The deadline can be extended when there is a minor involved. Also, remember that if you have injured yourself in a government premise, different rules and statute of limitations are applicable. Besides, making a claim against a government entity will require you to file a 'statement of intent to file a lawsuit' against it, before filing the slip and fall suit. 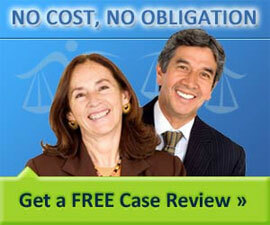 The ultimate motive for filing a lawsuit is to pursue and acquire a favorable settlement. To achieve this purpose, you need to hire a competent slip and fall attorney, and be actively involved in all aspects of your slip and fall claim. Do not make the mistake of believing that the opposing party's insurance adjusters or attorneys will help you, or think of your interests at any time. That's not their job. Integrate all of your information, establish the credibility of your claims, and do your research on slip and fall settlement guides – these steps will help you pursue a favorable settlement. Aaron Z. Ahlquist is an Associate at Herman, Herman & Katz, LLC, a law firm based out of New Orleans, LA. He has served his clients in the areas of union and employee-side labor, employment law, complex and commercial litigation, class action and mass tort, etc. As an Associate with HH&K, he has been recognized as one of the Top 40 Attorneys under 40 in the State of Louisiana by The National Trial Lawyers Association.